One of my all-time favorite wedding photos. This bride brought two dresses to her wedding in Newry, Maine, the one she got married in and the one she wanted to eat it. She and her husband were avid foodies and they chose Maine as a destination for their wedding because they has seen an Anthony Bourdain episode on Maine. They planned their entire trip, sight unseen, without ever setting foot in the state. Obviously she wanted a dress she could relax in for dinner, and if you have two dresses and there is a swimming pool, then what do you do? 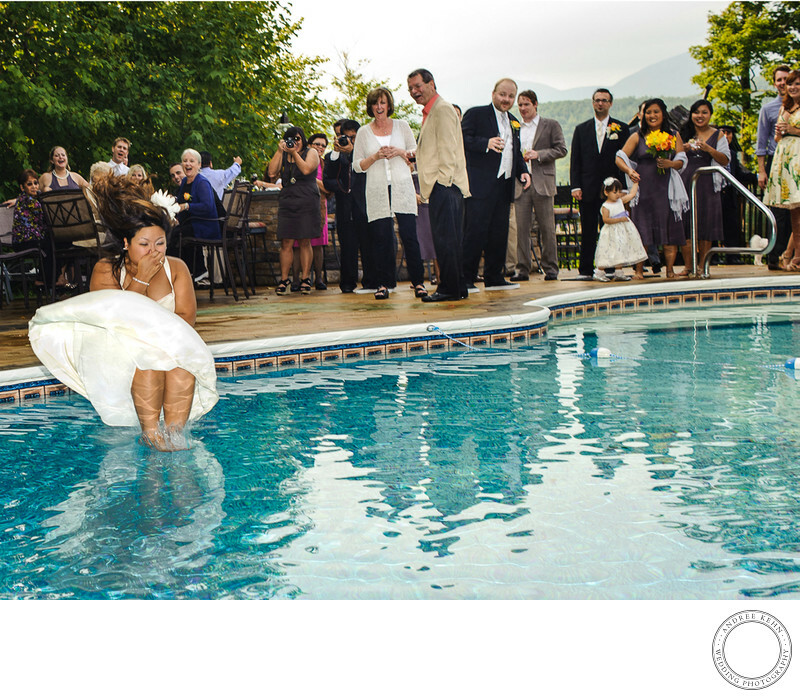 It seemed very obvious to her- you cannonball into the swimming pool with your wedding gown on, to get the most epic wedding photo, ever. 1/250; f/5.6; ISO 250; 35.0 mm.